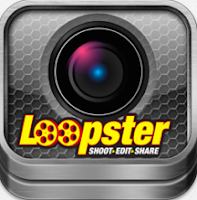 Loopster is a free HD video editing app for the iPad and iPhone. Record sounds and video directly into the Loopster app. Features include: text and bubble text, title screens, slow motion effect, rotate, crop, splice, and zoom, and sound effects. Import video and still pictures from the iPad camera roll. Upload to the iPad camera roll or YouTube directly from the iPad.